There’s absolutely no denying the fact that there has been a lot of bickering between people about which desktop environment is the best. However, in more recent times, the discussion has been expanded and refocused, from not just Gnome vs. KDE but now Gnome Shell GNOME 3 Beta - Welcome To Your New Linux Desktop GNOME 3 Beta - Welcome To Your New Linux Desktop Read More vs. Unity Ubuntu 11.04 Unity - A Big Leap Forward For Linux Ubuntu 11.04 Unity - A Big Leap Forward For Linux It's here. The newest version of Ubuntu sports an entirely new user interface: Unity. It also includes a much-improved Software Center, alongside the usual updates for the thousands of free programs Ubuntu offers. Canonical decided... Read More , two desktop environments that are both dependent on the Gnome framework. This may come as a major surprise to many, but my first point is all about speed. From personal experience, I’ve always found Gnome Shell (especially when version 3.2.1 came out) to be faster than Unity. The Activities screen in Gnome Shell loads as fast as the Dash in Unity, but the dock launcher on the left side in Unity is somewhat slow and sluggish. This is especially noticeable on my netbook, whereas Gnome Shell runs smoothly. It’s quite a surprise to myself, actually, because Compiz, the window manager framework of which Unity is a plugin for, was touted to be the better and faster alternative to Mutter, the window manager framework on which Gnome Shell runs. Although I have to admit that Gnome Shell at it’s first release was a little sluggish too, it has improved quite a bit. Now that Unity is the default desktop shell for the second straight release in Ubuntu, it has only gotten slower. The organization and design of the desktop environments is also a major factor between the two. Unity tries to be organized, but with lenses, the Dash, and the different categories inside the Dash, things quickly get confusing. I know when I looked at Unity that it took a while before I understood what everything is for. As for Gnome Shell, everything is better hidden and organized. You see nothing but the desktop until you go into the Activities screen, where inside you’ll be presented with favorites, different open windows, and the different workspaces for each application or task. In the applications view, all you get is a list of applications and the different categories for each. That’s it. It’s simple, clean, and works well. Extras in Unity like the ability to search your music collection is a cool idea, but I find it unnecessary. It’s not any harder to just go look around in your Music folder or to open up your music player and easily find and play your music through that. While this isn’t a major reason, it’s still worth mentioning. For those that do enjoy Unity, they are forced to use Ubuntu in order to get that experience. With Gnome Shell, that isn’t an issue, as it’s available on any distribution in existence that has moved up to Gnome 3. 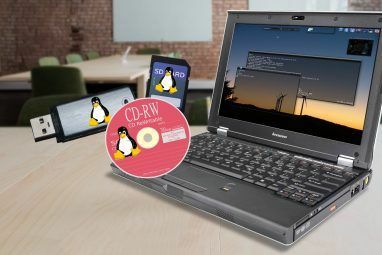 The world of Linux that we currently live in is very well used to being able to put any desktop environment that they like on their distribution. Unity is the only desktop environment out of all the major players that is specific to only one distribution. I’m sure that Canonical has their own reasons for doing this, but in the spirit of free software I don’t believe that their choice goes in the right direction. Say what you like, but those are just my opinions on the matter. I simply find Gnome Shell to be a little more usable with its clean look and design, unlimited workspaces that automatically get created or destroyed, and overall ease of use. The Gnome developers definitely changed the desktop as they had hoped, and I find it to be enjoyable. For those who don’t think the same, you still have to admit that some pretty innovative ideas are presented in Gnome Shell. What’s your own opinion on this? Do you agree with me or am I just an idiot? Let us know in the comments! 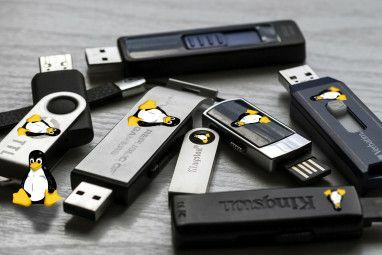 Explore more about: GNOME Shell, Linux Distro, Opinion & Polls, Ubuntu. About Unity being Ubuntu only...you can still compile it. I wonder if there is truth to what I'm hearing. Since ubuntu made unity the default program they have lost some users. I see all my programs when I use unity but I'm still not sold on it. I use gnome 3 and I like it since it combines a bit of unity or gnome. The Unity desktop is still actually Gnome. Unity only replaces Gnome Shell as the desktop shell. Just a quick note. Unity is unique to Ubuntu as of now, yes. But this is not something dictated by Canonical. I'm sure they'd be very happy if another distribution adopted it (or at least added it as an option). It's still Free Software and any distribution can build and distribute it to their users. I wouldn't be surprised if it showed up in Debian some day. There is another problem however: Canonical's Developer Agreement whereby they ask you to assign copyright to any modifications you make to Canonical. This may hinder outside developers' interest in hacking Unity. Granted, it's no worse than the FSF requiring copyright assignments, but then again Free Software hackers probably feel better about the FSF and trust it more than any profit-driven company. If I install ubuntu for someone the first thing I do is change to gnome 3 and they all prefer it. Is this the reason for Ubuntu's fall in popularity? The Canonical Developer Agreement no longer asks you to assign your copyright to Canonical. I signed it some months back after noticing that the terms had reversed -- instead of assigning your copyrights to Canonical and being granted a license to reproduce, modify, display and distribute the changes, you now retain your copyrights and grant Canonical the license. If it used to be an issue, then licensing surely wouldn't be one anymore, right? They design Unity and force it on Ubuntu. Then they stop financial support for Kubuntu and others. So they are trying to monopolise. Canonical = Microsoft = enemies of free software. Unity is never forced. It's simply the default. If you want Gnome Shell, for example, you can install it. Done. Even though this is old, I did what Danny said. I installed Gnome 3 and left Unity in case I ever wanted to use it, which I do time to time. the new ubuntu (12.04) has improvements in unity, and you can make use of very easy shortcuts. it is faster than ubuntu 11, but still slower than gnome shell here. in some aspects ubuntu looks better than gnome, for example the fonts are smoother. you still have by default minimize/maximize buttons. and in ubuntu 12 you can stick the launcher on the side, it wont hide. this is great because makes it closer to the way we are all used (a bar with minimized applications). ubuntu is maybe the most famous linux distribuition. opensuse and fedora are maybe the most famous gnome shell distribuitions. ubuntu by the other hand has a bigger community and support...and is easier to troubleshoot. you have to do almost nothing after installing ubuntu (anyway it may do too much without asking you, different of debian or fedora. you must configure a lot, but at least you know what the system is doing. but this is known that ubuntu is focused on end-users). ubuntu one is great, and gives you 5GB for free. i couldn`t find it to download when i used fedora, just for windows (and ubuntu of course). Gnome Shell looks better, because Unity really only comes with those god awful orange themes, and it has better workspace management. Unity has the better search, because Gnome Shell search shows only folders that are bookmarked anyway) and it is generally better to use with only the keyboard. Unity is on top. To launch an application you just click on the icon. On startup, I launch firefox, gedit, terminal, banshee, home folder. And its all so easy coz its just there by the side. For anything else, I use Synapse. I have used Gnome 3, Unity, KDE. And the winner is...Xfce modified in 5 minutes to look like Goneme 2. I must admit that I`ve had no problem with neither GS nor Unity. I think the reason for that is that i am a "keyboard guy" (more than 90% of the time). I defined my keyboard shortcuts, and it simply makes my workflow DE-subvariant-proof, at least with GNOME DE-subvariants, and that`s why I never liked KDE in the first place. First of all, WTF is with the fuzzy/horrible system fonts with gnome-shell? Totally amateurish looking (unless you're into a "ghost" theme). Seriously, how do they even release something that looks that bad? Totally unacceptable. Next...both Unity and gnome-shell each have some positives and too many negatives. Launching apps, window switching between open apps, workspaces, and panels/notifications. In order to launch a program, Unity is faster. (Especially since I moved the dock to the bottom). It autohides. You move the mouse to where the dock is, the dock pops out, and you click once on the app icon. With gnome-shell, you have to first move the mouse pointer to the upper-left corner hotspot (horrible location! ), watch as open windows and workspaces fill the screen, and then move your mouse to the proper icon. Workspaces are better on gnome. App grid is better on gnome. But the WINDOW SWITCHING, the thing I do the most, is far better on Unity (though both aren't good). UNity's combining of the launcher and the switcher is a bad idea, because you still have to hunt/scan for your running app icons. With gnome-shell, you have to go to the upper left corner, wait for the app windows to be drawn, and then scan the windows and choose one. This is ABSOLUTELY, TOTALLY INSANE! That is the one thing I detest about gnome-shell and is the reason I cannot use it. If I'm using the keyboard, then it's fine. Using gnome-shell, switching back and forth between running app windows (which I do constantly) is an extremely frustrating and annoying experience. Gnome-shell notifications at the bottom right of an otherwise hidden panel is laughably bad. Who thought of this? And those outsized notifications at the center/bottom look awful and are unnecessary. I know. We can tweak and extend, blah, blah, blah. That's not the point. There's no reason for them to have done such a poor job. Hate to say it, but I think Unity/Ubuntu has done a better job. If they cleaned up their dash, it would be the clear winner between these two. I'm glad to hear it. I'm usually against the 6 month update cycle, because the changes are minor. But in this case, because of the radically new desktop introduced with 11.04, each subsequent update should be a major improvement. I've seen references to 12.04 all over the net. I would like to learn how to download and test it now. But I was wondering if I go ahead and do a 12.04 alpha (or whatever) install, will that installation update all the way to the actual release of 12.04? Or will I have to separately install 12.04 when it is released? (Hope I'm explaining myself well enough). Alright.Playing with the 12.04 daily build. Yes, the dash is already getting better. I'm even getting a bit used to the global menu bar. Eek! But the min/max/close on the left I will never get used to. lol. (Easily modified). You know, if they just put back the Appearance/Font stuff, and made a few other now-hidden things available, it would be ok. Shouldn't have to d/l gnome-tweaks to change the bloody fonts! (I use my own font config anyway). Gnome shell is less ergonomic than other alternatives. 1) if you want to control programs with your mouse you need to travel across your wide-screen from the right border (launching) to the left one (previews). After my first minute I felt like an idiot - apparently designers of this poor layout cannot from some reason. I don't like Unity at all. Just too little possibilities to make it "mine". Lenses and scopes just don't give anything to my computing experience. However, it's the only DE on my main laptop in lieu of confirmation that my ATI card works with it, and a friend and his girlfriend using it over Christmas went completely bonkers and had me dual-boot their laptop with Ubuntu and Windows. Her words was that "it's just so simple, unlike Windows". So I guess there has to be some reason why Canonical is improving (Not that *I* can see) on it. As soon as I hear ATI cards work better with Gnome Shell, I'll ditch Unity. Have GS on another machine, and when I used it for the first time, "it just worked". I instinctively knew where everything was, no need to fuss over anything. First time I used Unity I had NO idea where anything was. NOTHING was intuitive. Much of it still isn't. That's pretty much the same reason I don't use KDE; I don't find it intuitive. I'll allow for 20 years of computer experience, and say I've probably developed habits, but GS was, and still is, very far from most of my experience, and that just "clicked". Same experience here, Christian. Everything was fairly intuitive for me, and I just had to get used to moving my mouse to a different corner of the screen. Meh. Don't like either. Limping along with KDE until Cinnamon is ready. 4. Ugliness. Everyone who has studied a bit of art will conclude that GNOME was and still is one of the ugliest desktop environments out there. thanks God for not studying art! Excuse me mate, WTF are you talking about? It seems that you can not see beyond some icons, wallpaper and dock. I respect anyone who prefer some desktop manager which fits better to him, but bashing some DM being some kind of "art" master... umm. Sounds crap to me, sorry. Well what normal people think about a DM is not how modular the piece of software is or what algorithms it is made of, but on how it looks. Give them a crappy software with a brilliant UI and they will stick with it. Gnome is unbelievable ugly. Not just the icons (which are horrific), but also the way it looks, the spaces between icons...etc. You should never let a programmer design the actual UI. Make Faenza the default, and you're really onto something. User environment and the resulting user experience are hard to get right. It's been hard to even decide Unity or KDE, but I do applaud KDE and Canonical for working towards incorporating other user experiences into their core. I'm not a Gnome user so I might not be in the "know" but most of what I've seen seems to indicate that Mint is reworking modern Gnome to emulate last gen Gnome behaviors. From a user familiarity standpoint this will net a lot of happy users, yes! However, the overall computing user experience is being and will continue to be worked over for some time as users rework their own computing use patterns and device preferences for their common cloud pervasive content. This is why Apple is pushing iOS computing behaviors into OS X while Microsoft is also doing same for Windows. Why because they want to have as similar a computing experience across their computing interfaces? Ultimately this enables users to know what to expect not just from the iPod to the iPhone and iPad but eventually to the iMac or Mac Pro. Clearly this is what KDE and Canonical are moving towards and it goes without saying that you have to break a few eggs to make a cake. Most people don't think of the "Tissue Box" G4 Macintosh, the "Gum Drop" G3 iMacs or even Apple moving away from its own Human Interface guidelines as part of an evolving Apple and contributing lessons for the iPhone and iPad. Yet if Steve Jobs believes in art classes to develop a great font system then its clear all of Apple's mistakes ultimately contribute to their successes. 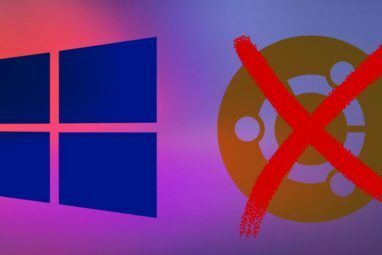 Yes, KDE and Canonical may be screwing up and ticking off a lot of current users, which doesn't feel good but in time they will have a consistent interface and user experience across computing devices and that's what their shooting for. Gnome is also a community release and as long as their community is happy with the experience that's fine too, but they will be significantly behind the curve on other form factors, if they haven't already decided to move forward. Get the experience right and then fine tune and optimize. I prefer gnome-shell as well because the overloaded meta key functionality for launcher, search, expose, and desktop management is brilliant, and I find Unity lenses of little use and a waste of screen space. However, gnome-shell's notification system needs major work. Many notifications/states are hidden, the pop-up bar interferes with full-screen apps, and it is very awkward to click on those damn icons. For me also, gnome-shell mutter stutters (!) when showing the expose (activites) view whereas Unity compiz shows the expose (ctrl-w or launcher click) view very smoothly. This is true on my nvidia based pc, and my old and new intel laptops so it must be a common experience. I prefer unity over all DE's but in my opinion. I think logically unity, gnome-shell lacks customization and fimiliarity. KDE is the best theoritically and is a really thorough DE except its stupid performance and rescources consumption unlike gnome-shell and unity wich is very effecient in this criteria. gnome-shell and unity is very elitist and is not possible to be used by a variety of users unlike KDE. regardless my logical opinion I prefer to use unity over the rest DE's. This sounds like and argument about who has the least ugly dog. BTW, I am using KDE 4.8 and loving it. I have run Unity and GS for weeks at a time and every time I return to KDE, I realise that it is faster, more flexible and has way more toys. You can configure it to work any way that you want. You are not locked into working like someone else decides. For the most part it has better apps, although you can run Dolphin, K3b, Digikam and Kdenlive in GNOME they just feel right in KDE. I have not given up on Unity or GS, but it is hard to go anywhere else as long as KDE keeps producing a great UI and apps. Lets compare gnome shell and unity after few more releases. The development of gnome shell started way before unity was even planed and yet, unity seems to be prettier and more functional. I disagree. Unity is retarded. I mean, take the Applications menu for example.. the app categories should be shown by default instead of going throw the whole lens thing. Its confusing and not at all intuitive. Not saying that gnome-shell is, but its definitely easier to use than Unity. How about 100 reasons why gnome2 with compiz is better than both? Definitely, I just installed cinnamon today and its wonderful. Gnome-people never listen, so I'm not going to support Gnome purely because of them being interface nazis and defending their bone-headed stupid ideas. Case in point: No shut down option by default from the system menu in Gnome 3. Anyone who argues that logging out before shutting the computer down is logical needs to get a reality check. The issue itself isn't a big deal, but it's arguing with these people is impossible and makes it really hard to contribute. A very long time ago i used KDE. These days I only use Gnome and it fits me like an old leather jacket. As others have said, that is the beauty of linux, you can choose which bests suits you. My personal observation about Unity are it is still not ready for prime time. I am not the only one. Ubuntu was on top of distrowatch for a very long time. They were way out in front of every other distro. Since Unity, Mint (still using Gnome / MATE) pasted Ubuntu and now has a commanding lead. Gnome is better than Unity. But a headache is better than a gut wound. I never really liked Unity. Back to Gnome 2, I had a bunch of features and customizations and I've never could find a replacement I would consider in Unity. It has always seemed to me that it was more made for tablets than desktop and laptops. Gnome shell doesn't feel that way to me. A lot of people complain that Gnome Shell feels like it's made for a tablet as well, but I have to agree with you. If I would make my own DE for a tablet, it'd be more like Unity than Gnome Shell. I actually find GNOME Shell much more polished than Unity. But Unity seems to have better fallback support for systems that don't properly support 3D graphics, so that's one point for Unity. Ah, Unity 2D is pretty good, I have to admit. Better than fallb...err, I mean classic mode for Gnome 3. That will change because GS will not require graphic acceleration in the future as I heard. So weird...Unity is quite a bit faster than Gnome shell for me, and I find Gnome Shell downright confusing. I guess I should play with it more. Yeah, for a 2nd gen product (Ubuntu 11.10 was the second release with Unity as default) it's still quite slow/bug-ridden IMO. 11.10's implementation of Unity is definitely better, as Unity in 11.04 was a downright shocker for me. Unity 5.X is a HUGE improvement over the older version. On my netbook, it runs way smoother that Shell does, and having a Launcher on the main screen is more efficient to me. If the two DEs combined, you'd have an unstoppable DE. But that's just my opinion. Hmm, I wonder what the combination would look like. Great that Unity is actually faster on your netbook, but I can't say the same. Who knows what's up with that. Danny Stieben why not review KDE 4.8? I probably will once I get a system up that runs KDE 4.8 nice and stable. Considering which distros even have it, I'll probably have to go with Arch, which could take a while. Just a question what is the distribution you are using? Ubuntu 11.10 with the KDE Backports PPA. This is the beauty of Linux. Of the 3 mayor DEs I prefer KDE. I was using Unity since it came out, but I got tired of Gnome 3 and decided to give KDE 4.7 a try. I saw the light. KDE's flexibility and consistency made me switch. -Dolphin is a great file manager, I've never used something like it. -With KDE's flexibility you can have a typical desktop or a minimal desktop. -Kwin is an awesome and smooth window manager, my favorite part is the 'expo' plugin. Nothing comes close to it. Unity and shell both have great features, both are great DEs. Jn my opinion Unity is better than Shell. I'very tried Unity 5.x and it's way faster than older versions. Nowadays I use KDE and will stick to it. Its flexibility is so much greater than Gnome (they keep killing features) and I love having a flexible desktop. KDE is a good DE, I give it that. I used it as my default for a while, but then somehow I switched back to the Gnome side of things. Honestly, I kind of forgot why I went back. I go back and forth between Unity and KDE. I love both DEs. Gnome Shell is the one I don't get, I don't like having things hidden all the time, Unity's launcher is right there when you need it, Shell's launcher is hidden, making the user use an extra step to launch "favorite" apps and it wastes a lot of screen real estate with its huge padding. Another thing I don't like is the way you create desktops, too mouse intensive. Unity and KDE both have a simpler way to handle multiple desktops (KDE blows all other DEs out of the water on this front). Have you seen the native-window-placement extension of gnome-shell? I agree but you forgot two great Shell advantages: extensions and the interactive notification system. Yes, I did forget about those, especially extensions. I remembered them a while after I finished my article, but I couldn't change it anymore and it was still solid as-is. 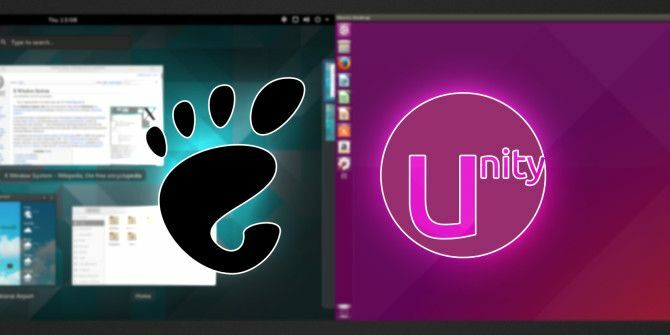 Gnome Shell's extensions do triumph Unity's Compiz settings. Yeah, the design aspect is more subjective. I find Gnome Shell's design a little more logical, but then again it's only my taste. If people are happy with Unity, use it. Since you said "Unity got me to change", what have you changed to? thanks for pointing out that it is just an opinion. it is just a personal choice . It used to be Ubuntu only because developers we struggling with getting it to run on other distros. I'd kind of expect Arch to get it first, but it's still the AUR. Meaning that so far it's not officially supported by Arch like Gnome or any of the other common desktop environments are. I imagine it's a bit like Launchpad: technically OSS but so opaque and with so little documentation that it might as well be closed source.